Enough bluefin were caught in the last week that I can no longer continue to boycott them in my column. I will point out though that the fish aren’t biting any better than they were, there are just more boats fishing for them with the only thing they will consistently bite, a trolled kite bait. As you can see from the photo above, taken aboard a ¾-day trip on the Liberty out of Fisherman’s Landing, even sport boats have been investing serious time trolling the kite. If you want a shot at a trophy bluefin, you’re chance to catch the potential fish of a lifetime is about as good as it’s going to get right now. That being said, if you’re a non-boat owner you’re going to need to be willing to invest some time and money into getting that fish. While open party sport boats are the cheapest way to target these fish, hell you might catch one for the price of a ticket on a ¾-day boat, the odds are stacked heavily against you. First off, you’re going to need to be the guy that gets that lucky bite and if you are you’re going to have to fight that fish from a drifting boat while others fish around you. The overwhelming majority of big tuna that are hooked on these trips get landed by the crew after the angler gasses out during the fight. So if you want a shot at going toe to toe and mano a mano with a trophy bluefin you’re going to need to charter a boat. 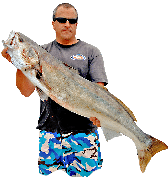 The biggest advantage of fishing aboard a smaller boat is that the captain can move maneuver the boat allowing you to kill the fish much more quickly. One thing to remember about fishing the kite is that you might only get one shot at a fish in one or more days of fishing. So, if you charter a 4-pack trip with your buddies, there’s a better than average chance that three of you aren’t going to get a shot. If you’re really serious about it, I suggest chartering a boat by yourself. It’s expensive but at least you’ll know that if you do get a bite it’s going to be your fish to fight. Also, you might not get a bite at all on that trip, so you should probably book at least two days but preferably three days in a row to ensure you’ll get a shot. 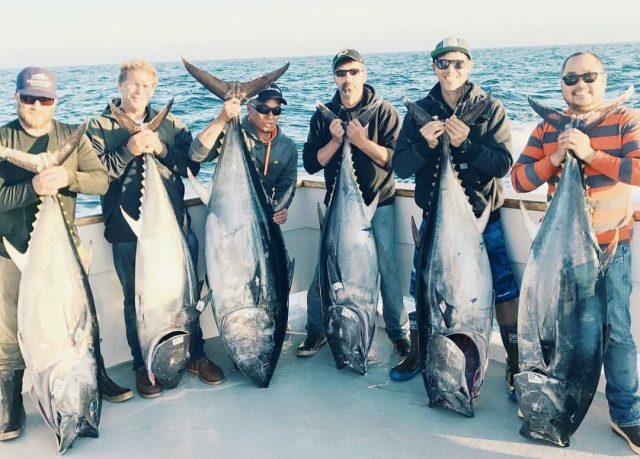 For those of you not interested in investing several thousand dollars into catching a fish just to say you caught one, let’s take a look at what else is biting in Southern California. Starting up north, the wind has been a problem in the seabass zone at the Channel Islands but the forecast is looking good for this weekend. In the meantime, the calico bass and rockfish are biting well for sport boats fishing Santa Cruz Island and there have been a few yellows and seabass in the mix as well. The bass are biting on the beach as well. 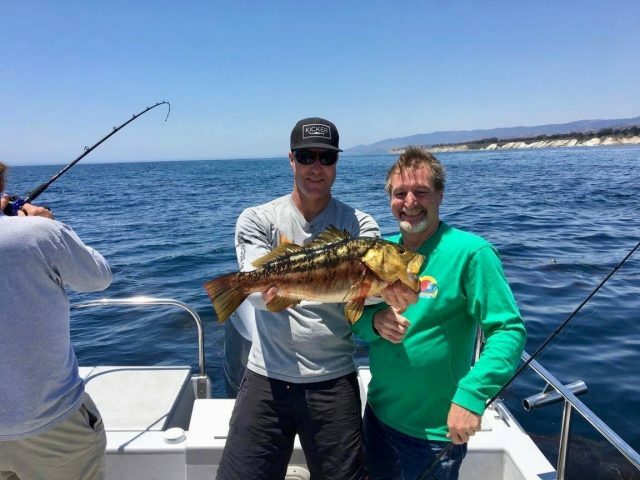 Captain Nick Tharp of El Tiburon Charters fished north of Santa Barbara Tuesday and reported excellent calico bass fishing with lots of 3 to 4-pound fish and a 5 ½-pound big fish for his charter group. Down the coast, San Clemente is getting the most attention of all the islands and is producing good scores of quality yellowtail. On Wednesday the Freedom out of 22nd Street Landing reported 24 yellows. Over half of those fish were the 20 to 35-pound grade and anglers fishing less than 40#test lost more than they caught. 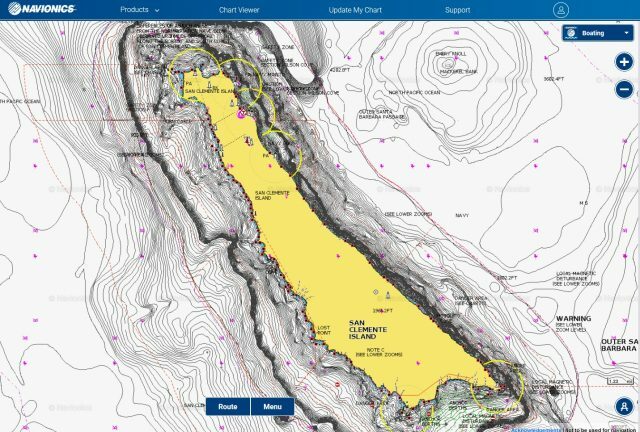 Catalina is still kicking out some yellows and seabass for the ¾-day boats fishing there but boat pressure is going to be ridiculous there this holiday weekend, so I recommend fishing somewhere else if you can. The hot sand bass bite out of Long Beach isn’t so hot right now due to localized cold water upwelling. This happens from time to time each summer and usually only lasts a few days so things should get back on track soon. If you’re looking to fish bass in the meantime I suggest heading up to the Santa Monica Bay or down below Newport Beach. 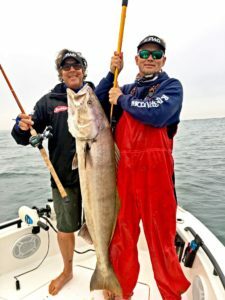 There are still some big seabass biting on the coast right now and you can read the full report of the fish we caught over the weekend and learn more about cold water upwelling by clicking here. Remember to bring some patience to the boat or launch ramp wherever you fish this holiday weekend. There are going to be a lot of people on the water and many of them have no idea what they’re doing. So don’t let the bad or ignorant behavior of others ruin your day on the water. Let Your Adventure Outlive You!